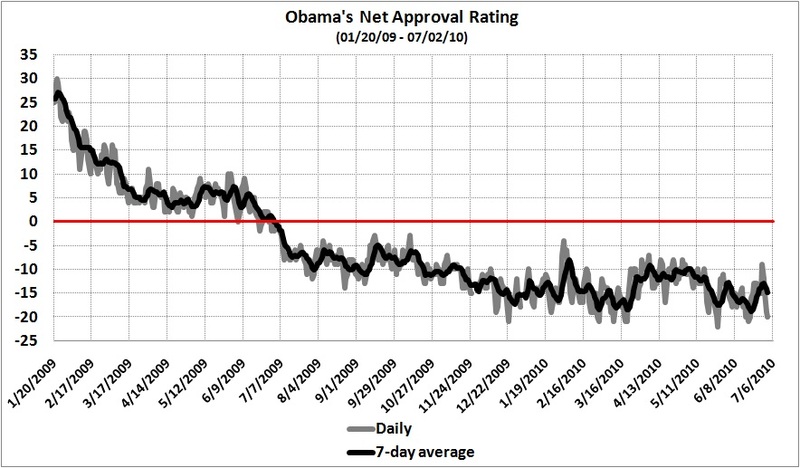 Net approval rating: percentage of likely voters strongly approving of BO, minus percentage of likely voters strongly disapproving of BO. Derived from Rasmussen Reports’ Daily Presidential Tracking Poll. I use Rasmussen’s polling results because Rasmussen has a good track record with respect to presidential-election polling. This entry was posted in Electoral Politics and tagged net approval, Obama, Rasmussen. Bookmark the permalink.